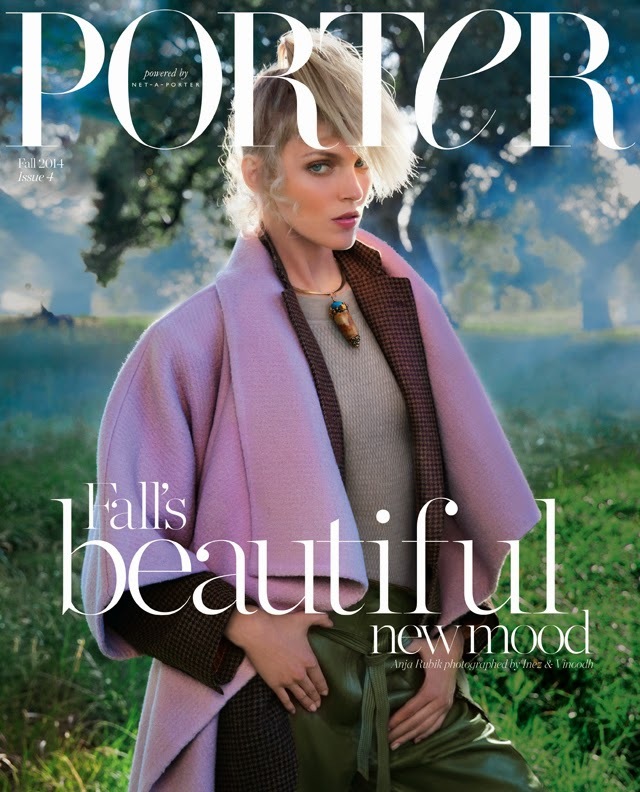 Porter has just released it's fourth issue cover and we're presented with the beautiful model Anja Rubik. This is the issue that is perhaps best defined as Porter's first September issue. Editor-in-chief Lucy Yeomans comments that the issue is in fact created with the back-to-school feel with an emphasis on change. If the cover is anything to go by, this is going to be a stunning issue filled with fabulous previews of trends ahead for the autumn winter season. Now, we're wondering what the page count is for this glossy beauty. As it is technically a September release issue, will Porter be competing with the 600 page autumn winter fashion bibles to be released later next month? Look for Porter Issue #4 on newsstands August 1st.